The singer posted some clips on Snapchat. 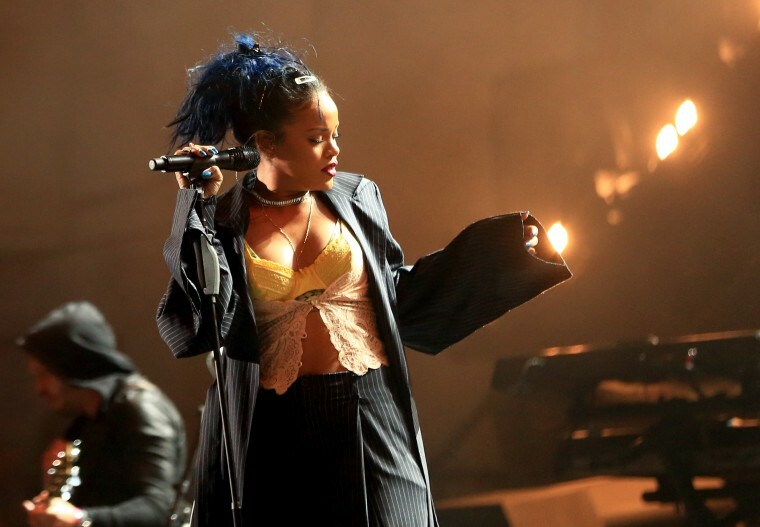 Rihanna has shared some snippets of her “Work” video while on set, as Complex reports. The ten second clips hint at a dancehall vibe coming in the finished clip. Drake, “Work”'s featured artist, doesn't appear in any of the Snapchat videos. But BlogTo has revealed that the pair recently rented a Jamaican cuisine restaurant called The Jerk Spot. An open audition for dancers to appear in the video was recently held in Toronto. It's unclear whether or not the Snapchat videos were shot at The Real Jerk. Check out the videos below. If you didn't catch Rihanna at The Real Jerk, you'll be able to watch her perform at both The BRIT Awards and The Grammys. Read Rihanna's FADER cover story here.